Daniel Borel is chairman emeritus of Logitech's board of directors.The position is honorary, without voting rights, but maintains Mr. Borel's interaction with the board in addition to the numerous other roles he plays for Logitech. One of the three founders of Logitech, Daniel Borel served as the company's chairman of the board from 1988 through 2007 and as a non-executive member of Logitech's board of directors until 2015. Mr. Borel co-founded Logitech in 1981 and served as chief executive officer from 1992 to 1998. 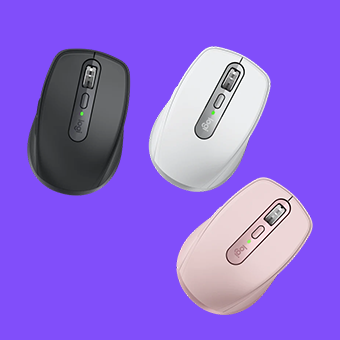 During Logitech's first decade, Mr. Borel was instrumental in developing the computer mouse business, overseeing the evolution of Logitech's mice from higher-priced, low-volume specialty products to affordable devices that are used with virtually every computer and sold to retail and OEM customers around the world. He also developed Logitech's European sales and marketing operations. In addition, Mr. Borel was responsible for establishing the company's high-volume manufacturing capability in Asia. In 1988, Mr. Borel led Logitech through its initial public offering on the SWX Swiss Exchange. In 1997 he led the company through its subsequent initial public offering in the U.S. on the Nasdaq National Market System. Mr. Borel serves on the board of directors of Nestlé S.A. and the board of the Defitech foundation for handicapped people, and is chairman of the board of SwissUp, a foundation dedicated to excellence in education in Switzerland. Mr. Borel holds a physics degree from the Ecole Polytechnique Fédérale de Lausanne, in Switzerland, and a master's degree in computer science from Stanford University in California.